Time flies and we are (more than) halfway through 2011. So how is the Vienna real estate market faring? Instead of updating you on what has happened in the past week like we usually do, let’s pause and take a look back over the past 10 years and see where Vienna stands in terms of number of home sales, average selling price and average days on market. The charts below show a year-over-year comparison for January through June for each year from 2000 through 2011. What do we see? Average days on market for homes sold in Vienna for the first half of 2011 was 57 days – just short of 2 months. Back in 2000, average days on market was at 37 days – 3 weeks faster than this year. However, in 2009, the market peaked at 98 days – more than 3 months. So it looks like we’re starting to come back into balance. Total number of sales in the first half of 2000 was 519. This year, we have only had 364 through end of June. If you’ve been following our blog on a weekly basis, you know that inventory has been VERY low in Vienna this year – one reason we think sales have been less. Over the past 10 years, number of sales has declined by 30%. The good news is that although the number of sales has trended downward, the average sales price has trended upward. In the year 2000, the average sales price for the first half of the year was $358,557. This year, the average sales price for January-June was $658,868. Note that average sales price increased year-over-year for each year from 2000 through 2006. Prices fell from 2007 through 2009. And then average sales price headed back up in 2010 and in 2011. Next Wednesday, we’ll be back to our usual weekly Vienna update. In the meantime, contact The Belt Team for more information. We sell more homes than almost any Realtor in Northern VA and have experience from Ashburn to Arlington, Falls Church to Fairfax. But it’s only the neighborhood that YOU live in (or WANT to live in!) that matters! Just Listed in Reston – Walk to Lake & Shops! Just Listed Near West Falls Church Metro & W&OD Trail! You know how much we like to go Retro – so come with us – back to 1967 – and listen to The Monkees sing “Pleasant Valley Sunday“! Why did we select this song? Well, we have a fabulous new listing we’re holding open this Sunday – and it’s on Pleasant Street! Time flies and we are (more than) halfway through 2011. So how is the Oakton real estate market faring? Instead of updating you on what has happened in the past week like we usually do, let’s pause and take a look back over the past 10 years and see where Oakton stands in terms of number of home sales, average selling price and average days on market. Average days on market for homes sold in Oakton for the first half of 2011 was 85 days – just short of 3 months. Back in 2000, average days on market was at 50 days – just shy of 2 months. However, in 2008, the market peaked at 125 days – just over 4 months. So I’d say we’re starting to come back into balance. Total number of sales in the first half of 2000 was 169. This year, we only had 128 sales. If you’ve been following our blog on a weekly basis, you know that inventory has been VERY low in Oakton this year – one reason we think sales have been less. Whatever the reason, overall the number of homes sold has trended down during the past decade. The good news is that although the number of sales has trended downward, the average sales price has trended upward. In the year 2000, the average sales price for the first half of the year was $364,731. This year, the average sales price for January-June was $697,400. Note that average sales price has increased year-over-year for each year except 2009 and 2010. So if you bought a home prior to 2006 and are looking to sell – you’re probably in good shape. Contact The Belt Team for more information. We sell more homes than almost any Realtor in Northern VA and have experience from Ashburn to Arlington, Falls Church to Fairfax. But it’s only the neighborhood that YOU live in (or WANT to live in!) that matters! yet in the heart of Viennas popular Madison/Thoreau pyramid and just minutes to Metro. This property has many options for entertaining, home offices and/or in-law suites. The main house was conceived to reflect old world culture and tradition, honoring the true craftsmanship of a past era. The home is a statement of commitment to design and timeless quality. This English Tudor home, complete with stucco and cedar timbers, hand carved larch beams surrounding a stunning gothic front entrance, is canopied by majestic oak trees. The fenced front pasture and remodeled guest house completes the English garden experience. Every aspect of the main house is custom built, with design details too numerous to list. Fourteen elegant hand built pillars support the dining room and living room. Stone flooring reflects the warmth of the sun in the sunroom. The stucco foyer features Gothic beams, cedar paneling and larch beams with a stunning iron chandelier. The massive 8.5 foot tall mahogany front door dwarfs your tallest guests. The remodeled stable is the perfect guest retreat, studio, home office, in-law suite, or pool/party gathering space and is striking in its soaring openness, stone fireplace and Palladian windows. The space is spectacular,with soaring ceilings on both the first floor and second floor. The main level has slate floors, with concrete counters in the bathroom and kitchen. The bath has tile walls and shower. There is a Miele dishwasher and Sub Zero refrigerator in the kitchen. The main room has a wood burning stove insert in the almost two story stacked stone fireplace. There is a majestic iron circular staircase that circles the fireplace, leading to the second story. The first floor also has a library and walls of storage. The second story can be a grand bedroom, studio or office. It has two huge Palladian windows, one facing east and one facing west. The view over the front pasture is breathtaking. Contact The Belt Team for a free walk-through evaluation of your home and tips on how you can maximize your sale price! It’s official. We have now entered the “dog days of summer” . . . those hot, sultry days where you really don’t feel like doing much except hanging out at the beach with a nice cold umbrella drink in your hand. (This is my dog’s favorite time of year! That’s him up above.) Typically, this is the time of year where the real estate market slows down a bit. School ends. Summer starts. Fourth of July comes. It’s time for vacation. So what else happened this past week in Vienna & Oakton real estate? Inventory in Vienna, although down from 2 weeks ago, is at its second highest point in 2011 – with 247 homes on the market. Inventory in Oakton is well above the average for the year – at 88 homes. Oakton’s weekly contract rate has dropped for 6 straight weeks – from 10 contracts to 8 to 7 to 6 to 4 to 2. Vienna’s contract rate has been up & down over the past 6 weeks – going from 15 to 19 to 25 to 11 to 15 to 30. Average days on market for active listings in Vienna & Oakton is 94-95 days. If youre thinking of buying or selling a home, Contact The Belt Team for a more in-depth discussion & analysis – because its only the neighborhood YOU live in (or you WANT to live in) that matters! A Day In The Life of A Realtor . . . Raccoons, Tutus and Birds – Oh My! 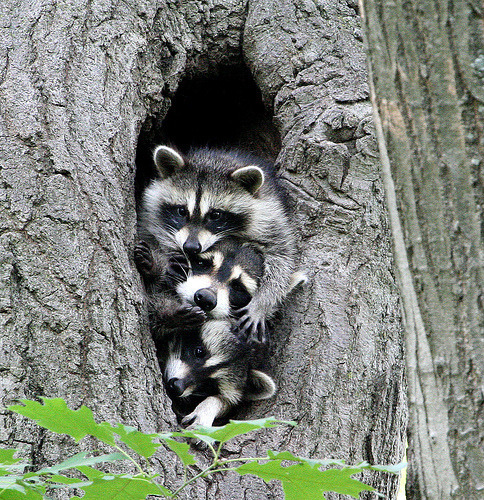 This blog post originally ran last year, but since we recently had ANOTHER HOME WITH A RACOON FAMILY IN IT, we thought it might be fun to re-run it! Enjoy! 6:00AM (Terry) – Work out, breakfast & prayer time. Must be physically fit & spiritually fit in order to be mentally fit. 7:30 AM (Everyone) – Meet for a Belt Team photo shoot. It’s 37 degrees outside, but pretend it’s warm & SMILE! 8:30AM (Terry) – Receive & forward home inspection results to one of our Sellers. Call her to discuss the findings – including the fact that there is a family of raccoons living in the attic that must be vacated before the Purchasers move in! Spend hours tracking down an animal control company that knows how to do this and can do it QUICKLY. Provide the Seller with the info. 8:30 AM (Tara) – Check the computer and see that we had 17 showings of our listings over the weekend. Send out emails & schedule follow up phone calls to contact each agent that showed our properties so we can provide specific feedback to each Seller. 8:45AM (Christy) – Run the MLS to check statistics – sales, contracts, new listings, average days on market. Analyze & determine the trends. Write the weekly market update for The Belt Team blog. 8:45AM (Terry) – Get an email saying that despite the fact that we received a loan approval letter for the buyer of one of our listings, his loan has since been turned down. His agent has no alternative resources for the buyer and since the contract was contingent on financing, he wants to void the contract. Update Seller on the situation. Contact one after another of our own preferred lenders. Find one who may be able to do the loan. Arrange for him to contact the buyer to see if he can qualify him and offer to provide financing. He follows up & it looks like the contract will go through after all. 9:15AM (Gail) – Meet Purchasers for a home inspection of the house they put under contract in McLean over the weekend. 10:00AM (Pauline) – Meet contractors at home of a Seller client who has already moved out of their house in Oakton. Spend 4 hours getting bids & selecting new appliances, countertops & floors so the kitchen can be renovated before home goes on market – making sure to balance cost of improvements with the benefits of saleability. 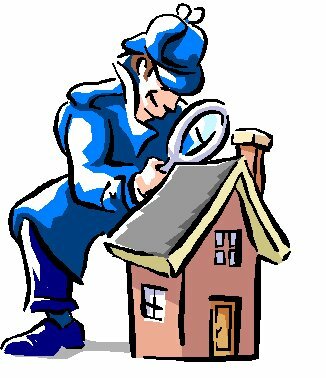 11:00AM (Gail) – Home inspection turns up possible mold issues. Buyer has severe allergies. Put buyer in touch with mold inspector. Contact listing agent & negotiate an extension to the inspection deadline. Thank God it’s a Buyers Market in this price range. A few years ago, the buyer probably would have had to make a decision on whether to proceed blindly or lose the house. 11:30AM (Jerry) – Head out on the road to make a delivery to a possible Seller. Deliver a listing portfolio with information about The Belt Team and our marketing plan for homes in Vienna so they will be prepared when we arrive the next day for our appointment. Noon (Gail) – Teach a Master Class at our Keller Williams office in McLean. Class is open to all Realtors in the community. Topic: “The Price Is Right – Or Is It?”. 1PM (Tara) – Upload listing photos for our new Vienna townhouse listing to all the sites and feeder-sites for the 126 locations we advertise on. 2PM (Gail) – Meeting of the Ethics & Standards Committee at the Northern Virginia Association of Realtors. 3PM (Christy) – Contract ratified and another Belt Team listing sold. Update Twitter and Facebook to announce the listing sold for $156,000 over Zillow.com’s Zestimate. Wonder why people give any credence to online value estimates. That makes 7 listings we’ve sold this year that sold higher than what Zillow said they were worth. Glad our Sellers were smart enough to use a Realtor. 4PM (Pauline) -Get a call from one of our Sellers. The For Sale sign was installed in her yard and her 4 year old wants to know “why is there a stop sign in our yard?”. 4PM (Terry) – Finish a 3 hour conference call to counsel a homeowner who is under water on their home. Sometimes it’s best for them not to do a short sale. Referred to an attorney. No listing for us, but a good feeling of being able to help someone. 4:30PM (Mary Jane) – Meet buyer to show new listing of a condo in Arlington. Buyer loves it. Contact listing agent to check status. First day on market and 5 offers already in. Go back to office to write a contract that will be in buyer’s best interest & also have a chance to compete. Good thing we have experience with this! 6:00PM (Mary Jane) – Receive a call on a contract ratified two weeks ago. The Seller has decided they are considering our Buyer’s contract void due to a different interpretation of dates and are accepting a different contract at a higher sales price. Buyer subsequently shows up to settlement, but Seller does not show. Seller advises that not only are they considering the contract void, they are keeping the Buyer’s $5,000 deposit. Buyer decides they would rather buy another home anyway, but cannot do so without the $5,000. After hours & hours (and days and days) of negotiation, Mary Jane is able to get the Buyers’ deposit back for them. Back to Square One on finding a home. Schedule an appointment to look at more homes this weekend. 6:00PM (Terry) Arrive at home for sale in Reston to preview it. Knock on the door. No answer. Access the home through the lockbox. Shout out “anyone home?” just in case. No answer. Walk through the house, take notes for potential buyer. Go upstairs to see master bedroom. 250 pound woman comes into the hall wearing a pink tutu. Introduce myself. She asks if I want to see the climate controlled bedroom where she keeps her exotic birds. (Not really – but oh well I’m here and need to see the whole house for my clients!). 7:00PM (Pauline) Prepare to be tomorrow’s “Realtor On Call” at the local credit union. Review IRS regulations again to ensure ready to discuss the First-Time Homebuyer Tax Credit. 8:00PM (Pauline) – Email photos & detailed notes to a West Coast buyer who intends to write a contract on a home in Virginia sight unseen. 9:00PM (Kevin) – Receive radon test results for a home just put under contract this weekend for a Buyer. Results exceed EPA guidelines. Contact remediation company to get an estimate to remediate & make sure they will provide a warranty. Discuss options with Buyer and draw up an addendum to submit to the Seller. 10:00PM (Pauline, Mary Jane, Kevin, Terry) – Respond to emails that couldn’t be responded to quickly via Blackberry during the day. Midnight (Everyone) – Thank God that we love our jobs!